This is a customer favorite; A three season sunroom with signature four seasons glass package. The inside vaulted ceiling is beaded vinyl and completely maintenance free. Inside and out full screens provide maximum air flow combined with an included ceiling fan for even the hottest days. 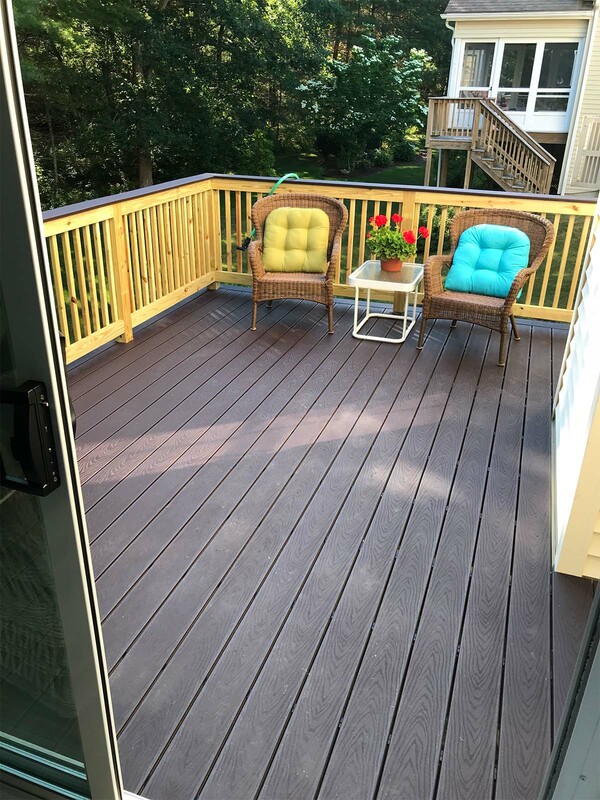 Inside our standard flooring, outside we installed a maintenance-free solid color decking with look and feel of real wood an no maintenance. This product is enhanced further with hidden fasteners available in a variety of colors including railings in black or white with lighted caps. 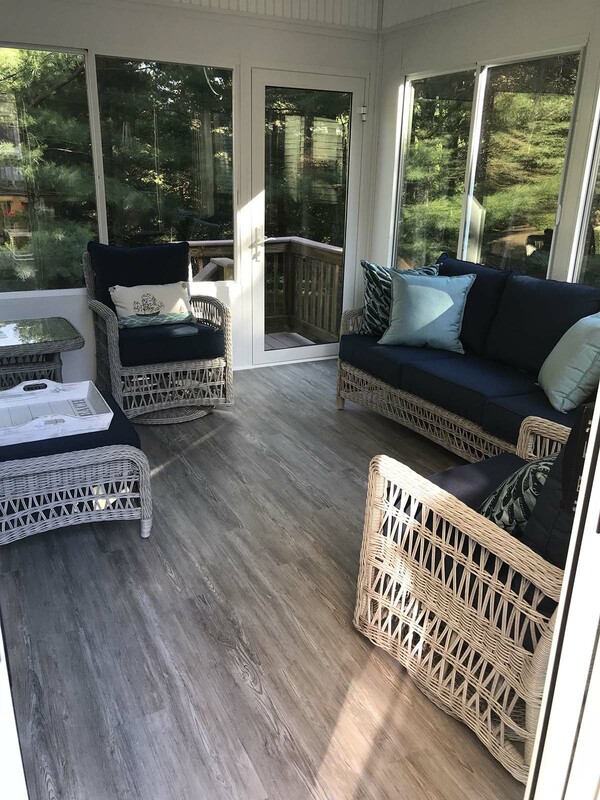 Why Choose Shiretown for your Four Season Sunroom?